This article is actual for CC version of Adobe After Effects. So, if your project is finished and you are ready to get your video, here we go. 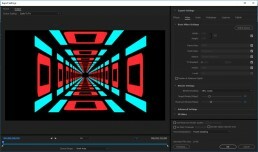 We’ll show you how to render your video in any resolution in After Effects. 720p, 1080p, 2k, 4k and etc.. no matter. Any resolution and any fps (24, 25, 29.97, 30, 60, 120 fps). First of all, you should choose a region, which you want to render. 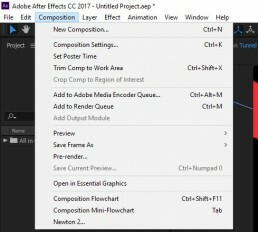 If you press Add to Render Queue, your composition will be added into a queue inside AE. After some updates for AE it became easier to make Rendering in Adobe Media Encoder software. Now let’s check out how to render video with Adobe Media Encoder. One advice, try to use this option always, as it will be easier for you to work on multiple projects in the future. 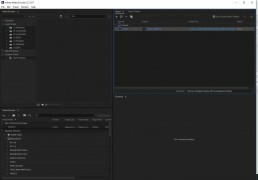 If you are rendering inside AE it’s impossible to open another project. But if you are using Media encoder, your AE leaves you an ability to open another project and to make slight adjustments there. When you press Add to Adobe Media Encoder Queue, we’ll see such window. ‘Format’ column – choose the desired format. ‘Preset’ column – means presets. ‘Output File’ allows choosing the path for rendered files. Also, you may choose file name here. As we may see in these lists, desired format is h264. Let’s choose it. After pressing ‘Preset’ column, choose Youtube 1080p or 4k or Vimeo 1080p. Mostly, these presets are pretty similar, but we should remember those vimeo presets are with higher bitrate. And it allows us to get higher quality videos. But higher bitrate means bigger size. When you choose any preset, you’ll be able to edit default presets. Let’s take a look at the most important options. ‘Basic Video’ – main resolution and bitrate controller. I recommend you to set up your values from your AE Composition settings. Check out ‘Render at Maximum Depth’ box – it will make your video look better, but add some time to your global rendering time. 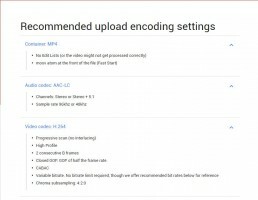 ‘Bitrate Settings’ – choose your custom settings. That’s obvious, that the higher they are the better quality of the video you’ll get. ‘Bitrate Encoding’ – CBR. ‘VBR’ – for those frames where you have some action scenes, video will be rendered with Maximum bitrate. And for other frames encoder will get ‘Target Bitrate’ values. VBR 2 pass – is the same what VBR, 1 pass means. With VBR 2 pass there goes additional draft rendering before main. VBR 2 pass enhances quality, but increases file size and time for rendering. For ‘Audio’ settings just choose any quality you need.